Mobile apps might have been unnecessary tools for businesses in the past, but today they are more relevant than ever, and should always be utilised to connect a company with its customers. Apps give customers (and potential customers) the chance to learn more about a business in the quick, easy and convenient way that has come to be the norm in the digital age. They also help a business to maintain a strong online presence, and allow customers to reach out and make transactions using nothing more than their mobile phones. 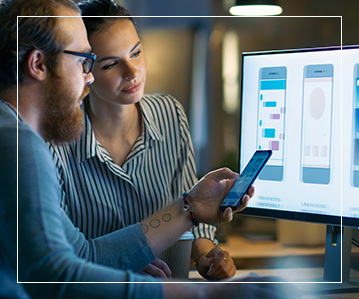 When it comes to the development of premium mobile apps, the skilled team of experts at iDigifi can offer the results needed to push your business in the right direction. Our team has extensive experience in the building of mobile apps, in addition to experience designing UI/UX and wireframes. When it comes to mobile apps, our team has all the skills and expertise necessary to create and develop premium applications for iPhones. 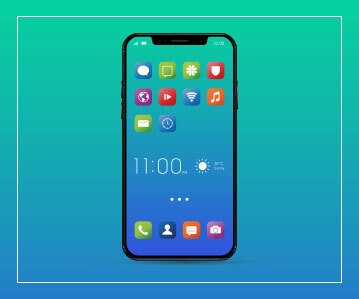 By making sure that your business is accessible for customers through the iPhone, we increase your accessibility, making it easier than ever for your customers to connect with you. Additionally, we design and produce mobile applications for Android phones. By developing an app for your business that is applicable across these different devices, we ensure that no part of your customer base is alienated. Android users will similarly be able to get in touch with your company when they want to, increasing your sales and leads. Customers today choose to connect using a range of platforms, which is why it is our goal to develop the presence of your business across more than one device. 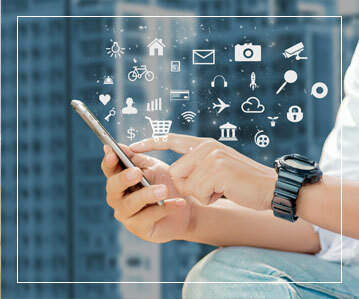 Relying on their years of proficiency, our team of professionals will develop apps across multiple platforms, ensuring that all those trying to connect with the business can do so with ease.